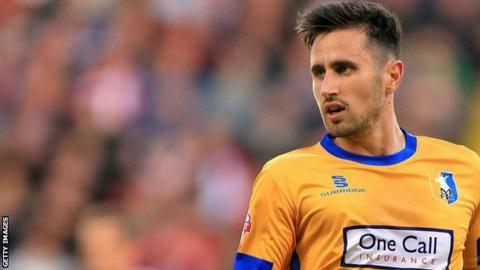 Mansfield Town midfielder Chris Clements has signed a new contract with the League Two side. The 26-year-old, who joined from non-league team Hednesford in 2012, started 32 league games last season. "I need to 'buckle down' on my consistency," said Clements. "I want to cement a place [in the team], get more goals than I did last season and help the team gain promotion. We have a good chance of having a good season." The length of the contract has not been revealed.